RefectoCil Eye protection papers EXTRA protects the lower eyelids of the client against unwanted staining by a special, impenetrable coating. 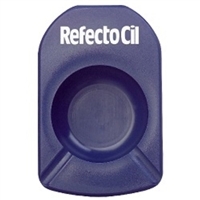 The RefectoCil Cosmetic dish plastic is a useful and elegant tool for tinting eyelashes and eyebrows. It has a convenient handhold and two handy grooves for the safe deposit of the application stick. Liquid peroxide for RefectoCil eyelash and eyebrow tints! 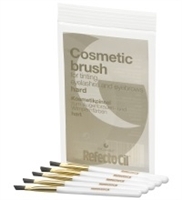 The innovative RefectoCil SiliconePads make eyelash tinting as simple as never before! They facilitate eyelash tinting considerably and increase the profitability in your salon, and the treatment becomes more comfortable for the clients. Due to its creamy consistency RefectoCil Oxidant 3% cream can conveniently be mixed with the RefectoCil tints to a homogenous paste which can be applied easily to the lashes and eyebrows. The skin needs daily care to stay healthy and beautiful. In particular skin under pressure through exposure to aggressive substances, harmful environmental influences, stress or UV radiation requires special care to maintain its protective mechanisms. Easily, quickly and precisely apply RefectoCil Eyelash and Eyebrow Tints RefectoCil Tint Remover is a colour stain remover and was developed to quickly and gently remove excess tint spots from the skin, produced when tinting eyelashes and eyebrows.